Home > Kitchen and bath > Pantone’s Pick for Color of 2017 Is…? 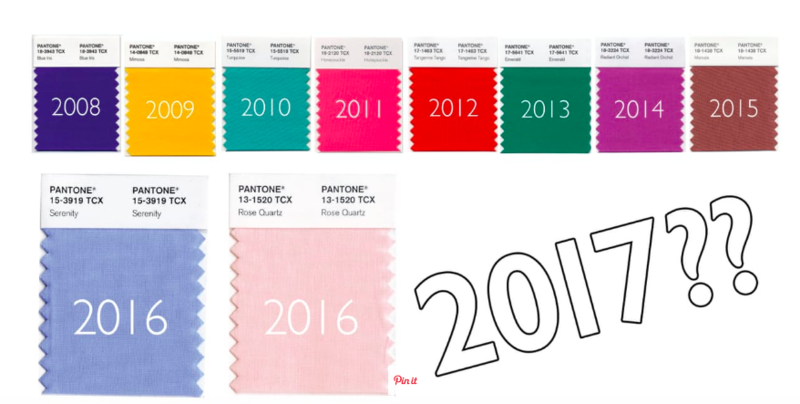 Pantone’s Pick for Color of 2017 Is…? Nature lovers are celebrating Pantone’s Color pick for 2017. 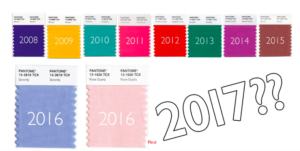 Pantone has been choosing a “color of the year” since 2000. Their Color of the Year selection is intended to be a symbolic choice that provides a “color snapshot of what we see taking place in our global culture that serves as an expression of a mood and an attitude.” That color choice has historically gone on to influence everything from interior design to even food and travel. 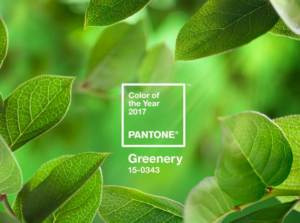 Described as nature’s neutral, Pantone says Greenery “is a versatile, trans-seasonal shade that lends itself to many color combinations.” Pantone demonstrates the color’s flexibility by pairing it with 10 color palettes on the site – brights, darker shades, even metallics. Greenery is seen as a breath of fresh air: a rejuvenating yellow-green that reminds you of those fresh, early days of Spring, and symbolic of those feelings of “Renew. Revive. Restore.” The more submerged people are in modern life, the greater their innate craving to immerse themselves in the physical beauty and inherent unity of the natural world. This shift is reflected by the proliferation of all things expressive of Greenery in daily lives through urban planning, architecture, lifestyle and design choices globally.